"I am unable to leave feedback on certain transactions. Others (at random, as far as I can tell) allow feedback normally. There is no error message, just that the feedback does not go through. I spoke with eBay customer service and they offered to leave the feedback for me, which I confirmed was fine. They said they were able to leave it, but upon checking, it was not left. I followed up with them, and they said they got a confirmation that it was left, but they too see that it was not left." The seller followed up: "Now they're trying to blame it on my computer and/or browser even after they (eBay) can't leave the feedback either!" One reader who called eBay customer service told us that eBay said it was aware of the problem and that they said the ETA for a fix was February 23. The seller said customer service told him a ticket was filed on February 3rd. "I suggested they let the eBay community know, but I'm sure you can imagine the type of response I got, so you may want to notify your readers," he told us. One seller reported on EKG that the problem was intermittent, another noted that the problem had begun on February 1st. Not only is this a serious issue for eBay buyers and sellers, it's another incident activist investor Elliott Management can point to as it pressures the Board of Directors. In its letter to the board last month, it cited eBay's "countless" technical issues and characterized them as part of "a series of self-inflicted execution missteps." 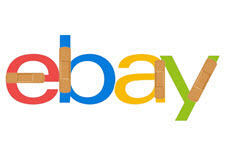 Users are also reporting the feedback glitch on the eBay Technical Issues board where they discuss some workarounds. ebay is obviously in the process of doing their pre-season-update changes which are bigger than their quarterly changes. A great deal bigger than their monthly changes. Much bigger than their weekly changes and even bigger than their daily changes. Massive compared to their hourly changes. As a result, the usual and expected flow of bugs, outages and glitches are what buyers and sellers are likely experiencing. Feedback is useless anyway so why waste your time. Just wait until Ayden kicks in full time. Onward Ebay, that iceburg is scraping the crusty old hull. And that coward Captain Devin will be the first to jump ship. Another day, another eBay glitch. What happened to Devin been upset with all the technical issues? I guess that sounded good in a press release but in actuality didn't mean anything. And this is a bad thing? Feedback is meaningless. Until I can leave honest feedback I leave none, unless a buyer requests it. Haven't proactively left it since my ability to leave honest feedback was taken away. Guess that explains no fee refund yet on a seller cancelled sale from last week. Recently this month, I had to force a return from a seller on a defective mis-described "shirt". I KNOW I left a negative feedback because i don't do it often. That's what the system is in place for, right? I was checking on some things randomly and noticed the feedback I had left was gone. Given that I have been on Ebay since Pierre was still operating it, I think I am well aware of what in constituted as harsh or unacceptable. Seeing as I don't want it REMOVED, I keep things in line. I call Ebay to verify this, and they told me once i opened the case for a forced return, THAT constituted the feedback removal in itself. The agent was (aren't they all) completely dead from the neck up and tried to drive me in circles, but it wouldn't work. I kept at her. She then started to say the SYSTEM does it automatically. Well - if this is the case, than the system only implements what a PERSON who programs it to do. Hence - It tells the system that if EBAY forces the return and gets your money back for you - YOU CAN NO LONGER LEAVE FEEDBACK OF ANY SORT! I ask you this . .WHY is the feedback system in place at all then? It has been one sided for a decade or more now ( biased for buyers normally, not in this case) - but the new depths of scrubbing the ocean floor for new boundaries of discrimination leave me without words. I will be the guy with the open window, uncorked champagne- running around in his underwear with a party hat on, and drunk and celebrating....when Ebay is finally unveiled, and brought to justice somehow in a favorable lawsuit or simply dies a painless death. Wow, a glitch that benefits US for a change. Keep it in place so we have fewer useless tasks to do. I ran across this issue months ago. I got around it the next time I gave feedback to a different seller. After giving feedback to the most recent seller, eBay's system "asked" if I wanted to give more feedback. I followed the prompt, found the product I wanted to originally give feedback on and was able to complete it. And, yes, I gave negative everything to that lying son-of-a-beotch seller. Just kidding. Sounds to me like he powers that be have the programmers working to eliminate or, again, modify feedback requirements and methods. Feedback system is Totally OBSOLETE! with a return policy on eBay and PayPal, who needs a feedback system. It was biased and unfair to sellers anyway!